I&apos;m so sorry this took so long! School has been unforgiving as of late and I&apos;ve been drowning. I hope you all enjoy! Robb looked to the stone walls of his home that were going to soon feel empty. Jon would be leaving for the wall in the morning with Uncle Benjen and his father, sisters, and his childhood crush were to leave to the capital. His younger brother Brandon was to leave as well, but since his fall from the broken tower he had not woken up. His family was in shambles, his mother had not left Bran&apos;s side since that morning, his father had not taken the frown off his face, Rickon had hardly left Rayne&apos;s side since his mother&apos;s unyielding absence and as Rayne was to be leaving, Robb worried about how the youngest Stark would cope. Another problem was the fact that Jon had not yet told Rayne that he was departing for the wall. The boy was fearful of how she would react and Robb understood his hesitance. The girl in question was too stubborn and fervid to actually listen to reason and it left Jon quite fearful. When Rayne was enraged, her brevity was as icy as the wall itself, her eyes could pierce the thickest of hides like the sharpest blade, and her tears could break the strongest of hearts. "You must tell her before the day you leave." Robb warned the obvious courtesy that Jon attempted to avoid. "I know, Robb. I just don&apos;t want her to despise me." Jon&apos;s voice wavered slightly and he let slip a breathy grunt as he saddled his horse. "She&apos;ll loathe you either way. Best tell her sooner rather than later and maybe then you will get a proper goodbye." Robb was completely reassured that he was right when Jon looked to the ground in defeat. "How do I tell her?" thought Jon out loud, "How do I tell the woman I&apos;ve loved since I was eight years of age that I probably won&apos;t ever see her again? That I&apos;m giving away my freedom, my love for her, to the men of the Night&apos;s Watch?" "That I do not know, brother." 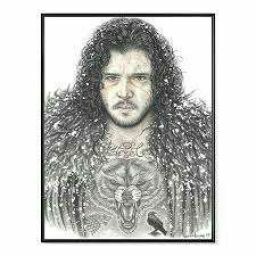 he gave Jon a sad smile, "That is for you to figure out by yourself." Robb left him then with his thoughts and wandered through the Winterfell corridors that led to Brandon&apos;s chambers. The halls seemed quieter as of late and Robb felt it as unbecoming. The colorful banners of the royal family had been taken down days ago, the once gold, red, and silver that fluttered along the walls in unity had faded to a dull pebble gray of the stone that laid behind it. As the days grew longer and the nights even colder, the Stark family&apos;s expressions did as well. The mere absence of one little brother brought a cloud-like veil over his home. And, as more often, Robb was anxious of how his entire family would deal with being split apart. Robb had made it to Bran&apos;s chambers and not surprisingly found his mother sat beside his bedside, the same way he had left her days before. It was mid afternoon and her breakfast sat beside her, untouched and cold. "Mother," Robb whispered meekly, "You look sickly." T&apos;was true. His mother&apos;s face had become sunken, her already high cheekbones had become more accentuated and bony and her bloodshot eyes had a cradle of dark circles beneath them. Normally, her sun-kissed hair was tied neatly behind her head in a proper way, but now it fell all over her back and shoulders, tangled and unkempt. "You must take care of yourself as well." Robb&apos;s soft hand rested on her shoulder and she flinched. "I must take care of him." she spoke in a wavering voice that was but a low whisper. "You&apos;ve done all you can and when he wakes he will need his mother. You need to eat and you need to sleep. I promise I will watch over him until you return." the eldest boy promised. 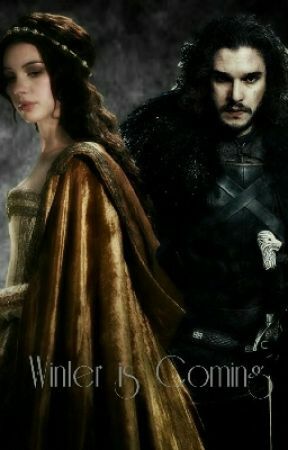 Catelyn smiled at, "You sound like your father, always worrying about your family." "Are you certain? I think I sound more like my mother. Family, duty, honour, or is that not the Tully words?" Robb chuckled. "If I am wrong Maester Luwin will be deeply disappointed in me." he laughed sarcastically in an attempt to lighten the mood. It worked briefly as Catelyn laughed while gazing at her unconscious boy.